Mordian 7th Regiment: Heresy Era Questoris Knights - House Vyronii Knight Lancer Complete! 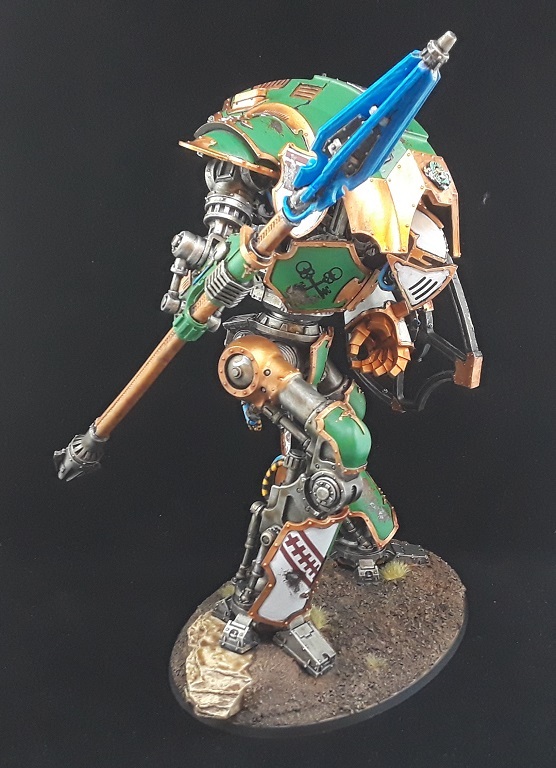 Heresy Era Questoris Knights - House Vyronii Knight Lancer Complete! While I haven't posted to the blog for a stretch due to technical issues, the hobby train was chugging away in the background. Finally getting caught up uploading pics to my website galleries and can start sharing 'em on the ol' blog! 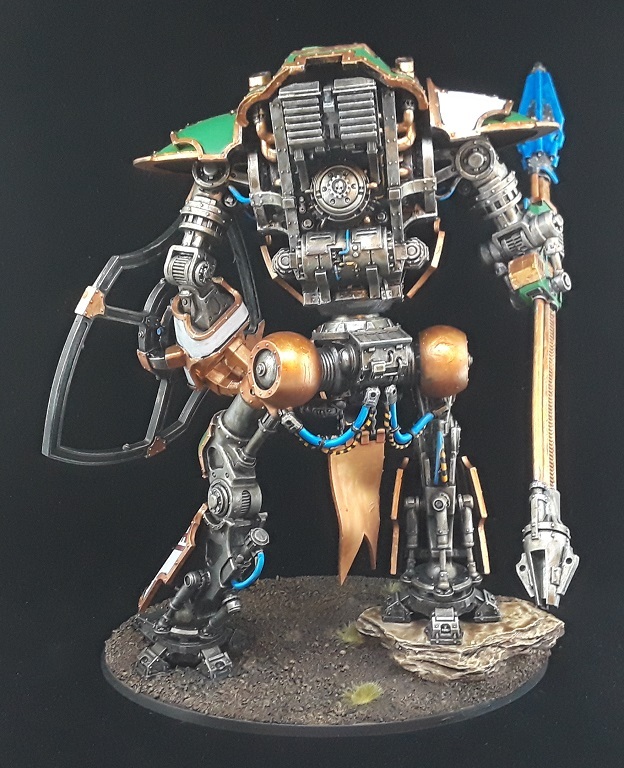 Next up on deck is a big model - Got the waterslides and weathering done on the Knight Lancer for the burgeoning House Vyronii army! The additional red adds a much-needed extra spot color to the model and I really dig how it turned out. The green and white was striking before but it needed a little something extra. Added in some sponge chipping and weathering here and there - I tend to go with a "less is more" method when it comes to weathering, though I think it could probably be pushed a little further on the big guy. Really happy with the pose, one of the best thing of the Cerastus-pattern knights is the fact that they are fully articulated and you can really get some dynamic setups. 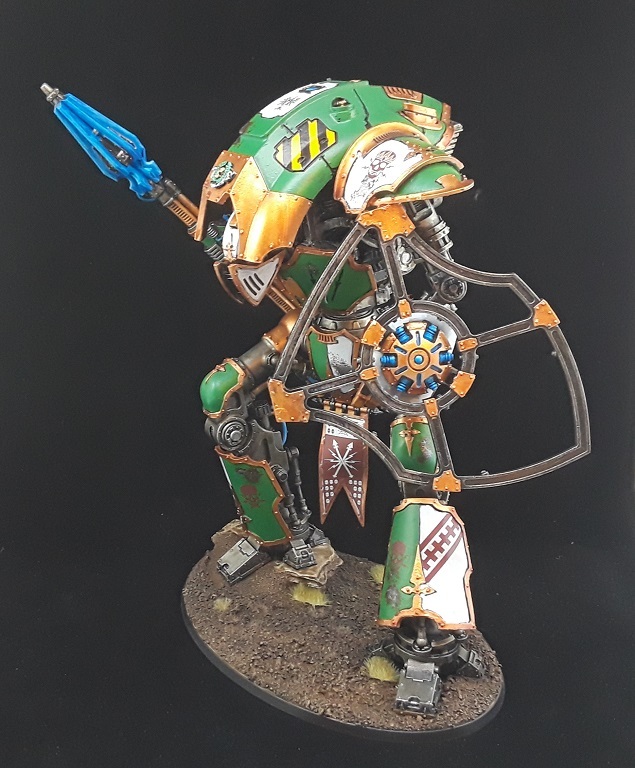 They've recently suggested that rules for the new Armiger and Valiant knight patterns will be getting rules for the heresy, so suddenly House Vyronii may be getting some expansion in the next few months! Thanks! It was a beast of a model to paint size-wise, but finished up rapidly despite the size. Cheers! Aye - I was surprised how quickly it painted up! looking good - I'm liking the unusual colour scheme - not many chose to do anything other than a red or blue machine. Thanks! Indeed, I wanted to do something a little different, House Vyronii is one of the very few "official" houses that aren't red. There's likely to be more to come in this scheme as well! Looking well. Always been a fan of the lancers. I appreciate it! 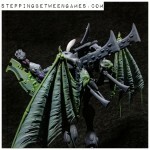 For sure, the Lancer is probably my favorite of the Cerastus knights as well! Thanks man! 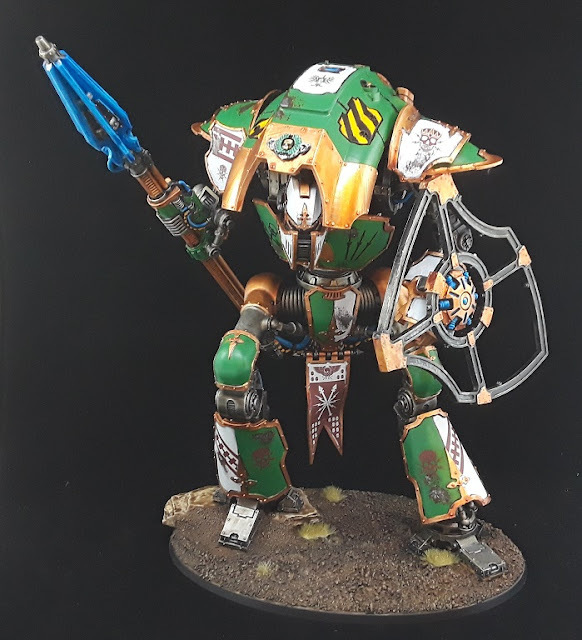 With the news that the Armigers are going to get rules for the Heresy, there may be further knights in this scheme in the future!